Since 1965 more immigrants have come to Los Angeles than anywhere else in the United States. These newcomers have rapidly and profoundly transformed the city's ethnic makeup and sparked heated debate over their impact on the region's troubled economy. Ethnic Los Angeles presents a multi-investigator study of L.A.'s immigrant population, exploring the scope, characteristics, and consequences of ethnic transition in the nation's second most populous urban center. 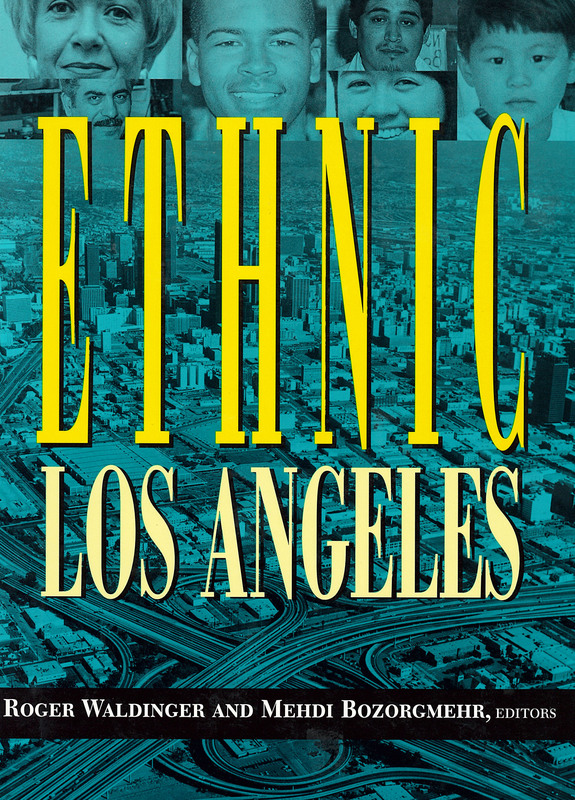 Using the wealth of information contained in the U.S. censuses of 1970, 1980, and 1990, essays on each of L.A.'s major ethnic groups tell who the immigrants are, where they come from, the skills they bring and their sources of employment, and the nature of their families and social networks. The contributors explain the history of legislation and economic change that made the city a magnet for immigration, and compare the progress of new immigrants to those of previous eras. Recent immigrants to Los Angeles follow no uniform course of adaptation, nor do they simply assimilate into the mainstream society. Instead, they have entered into distinct niches at both the high and low ends of the economic spectrum. While Asians and Middle Easterners have thrived within the medical and technical professions, low-skill newcomers from Central America provide cheap labor in light manufacturing industries. As Ethnic Los Angeles makes clear, the city's future will depend both on how well its economy accommodates its diverse population, and on how that population adapts to economic changes. The more prosperous immigrants arrived already possessed of advanced educations and skills, but what does the future hold for less-skilled newcomers? Will their children be able to advance socially and economically, as the children of previous immigrants once did? The contributors examine the effect of racial discrimination, both in favoring low-skilled immigrant job seekers over African Americans, and in preventing the more successful immigrants and native-born ethnic groups from achieving full economic parity with whites. Ethnic Los Angeles is an illuminating portrait of a city whose unprecedented changes are sure to be replicated in other urban areas as new concentrations of immigrants develop. Backed by detailed demographic information and insightful analyses, this volume engages all of the issues that are central to today's debates about immigration, ethnicity, and economic opportunity in a post-industrial urban society. ROGER WALDINGER is professor of sociology and acting director of the Lewis Center for Regional Policy Studies, University of California, Los Angeles. MEHDI BOZORGMEHR is assistant professor of sociology at City College, City University of New York.